The Matrix Strobe Star Award 2016/2017 to showcase hair strobing. It derived from the photography realm and extended to the world of make-up, ‘strobing’ is a highlighting technique widely used in make-up and having the look as if constantly being flashed with lights. Strobing on hair is a highlighting technique meant to enhance particular facial features of the wearer 24/7. An overwhelming response of 300 submissions was received but only 30 made it to the semi-finals and 10 finalists had the opportunity of a lifetime to showcase their masterpieces. The esteemed panel judges comprise of L’Oreal Malaysia’s Professional Product Division General Manager - Mr. Aaron Littlewood, ASIA PACIFIC Professional Product Division, General Manager Education - Pauline Cairns, Matrix’s Global Colorist - Stevie English, Matrix Australian Design Team Cutting guru – Kobi Bokshish, Yang Mei Ling – Editor of Female Magazine and Beatrice Looi, a renowned fashion designer. 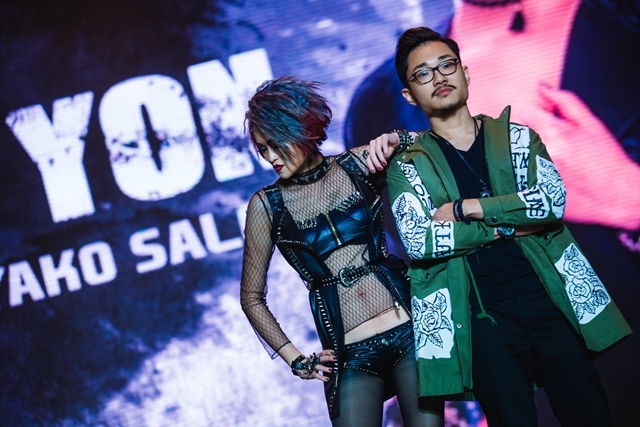 The spectacular show kicked off with Matrix 4 Artistic Educators –Alan Ng from Estilo Hair Nail Studio, Roy Thean from 115 Kimarie & Hannan, Dr Ken Lim from Wenawave Salon and Stephan Law from L Code Salon showcasing their creative interpretations of Punk Rock and Glam Rock. 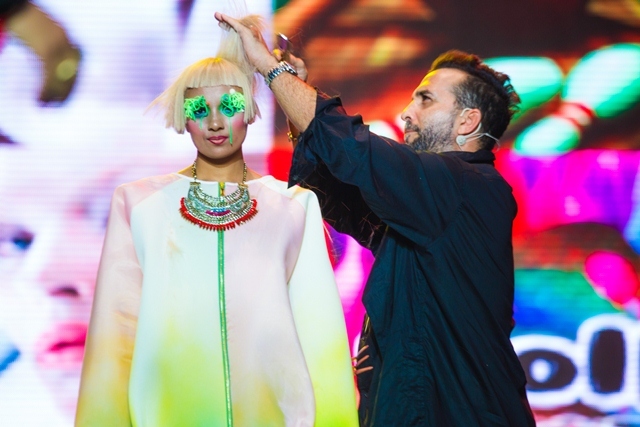 The highlight of the event is the live demonstration by Matrix international guest artists from Sydney, Australia namely Matrix Global Colorist - Stevie English and Matrix Australian Design Team Cutting guru – Kobi Bokshish, both with more than 20 years of experience in the hairdressing industry. Stevie, a hair colour aficionado is a hair expert for TV channels and the Artistic Director for The Voice of Australia. The winner Left Chia Koon Chau from Hair Secret Salon won the hearts of the voters by 1668 votes with his inspiration of colourful and vibrant lights. The 2nd Runner up goes to Yuji Loi from Dmines Hair Salon using Eye Strobe whose concept is based on the Beauty of Imperfection walked away with RM15,000 worth of prizes. 1st Runner Up is Sharon Chong Kai Eng from 9 Studio Salon & Academy who used Eye Strobe to create a feminine touch of Rock and Roll combining it with the colourful dream catcher won RM25,000 worth of prizes. 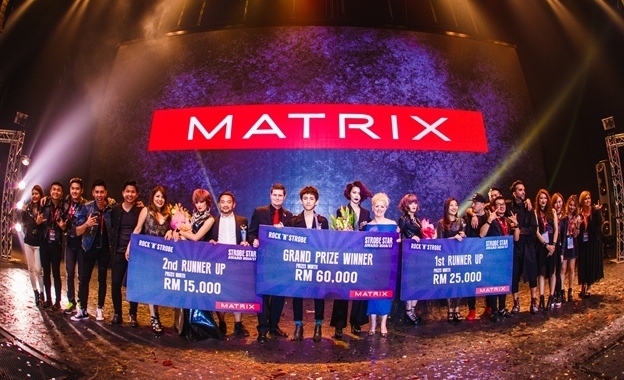 The winner of Matrix Strobe Star Award 2016/2017 is Heah Chun Keat from Vito Hairdressing Salon using Jaw Strobe whose inspiration of thunder clouds from unpredictable, colourful and mysterious storms wowed the judges and he was presented with the Grand Prize worth RM60,000 by Mr Aaron Littlewood.